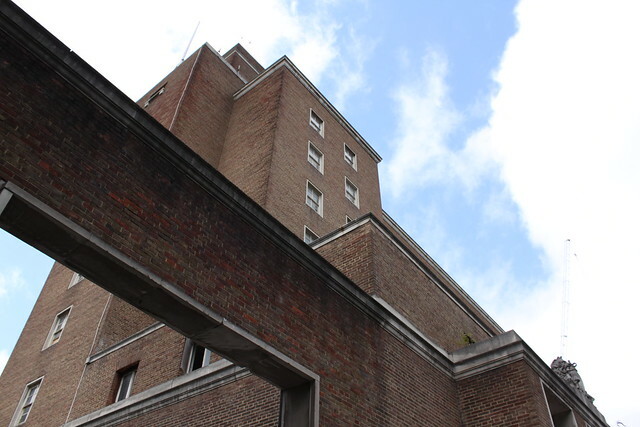 A planning application for a large hotel in west Greenwich has been backed by Greenwich Council. The Council's Planning Board last week gave planning consent for Maurice Drummond House in Catherine Grove to be converted into a hotel. 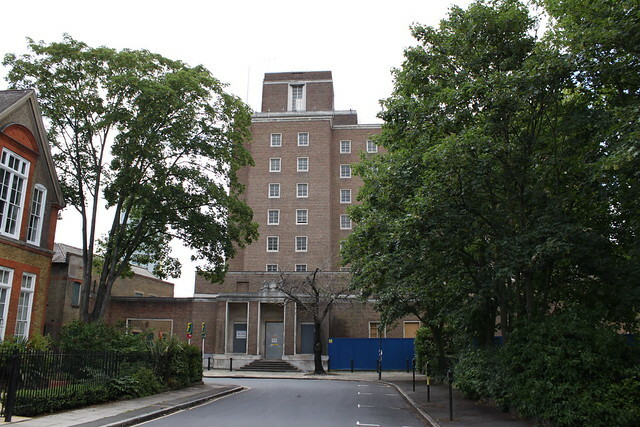 The eight storey building was originally built in the 1930s as accommodation for officers from the Metropolitan Police. The new hotel will be called "The Greenwich" and will offer a "boutique" experience in its 168 rooms, according to documents submitted with the planning application. 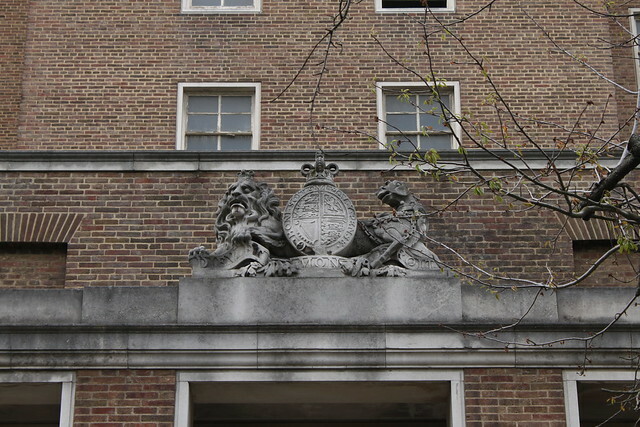 The former section house received RIBA's London Architectural Medal in 1946. The company behind the scheme is Periquin Limited, the sole director of which is Lady Rona Delves Broughton. Greenwich Hospital recently won the the right to build a boutique hotel at Greenwich Market and another is planned within the Movement development at the corner of Norman Road and Greenwich High Road. A new 47 bedroom hotel has been given the green light by the independent Planning Inspectorate after being rejected by Greenwich Council. 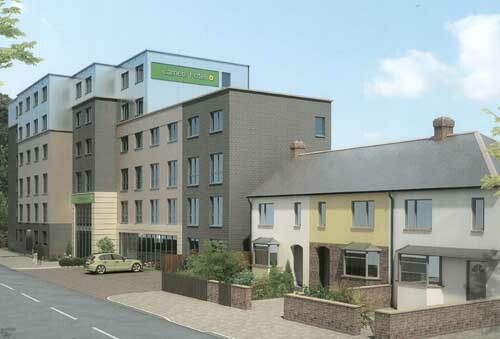 Developer, Cameo Properties, can now begin building the six storey budget hotel in Tunnel Avenue, close to the A102. In turning down the application, the council had stated that the hotel would "constitute an overdevelopment of the site that would be out of keeping with the scale, character and appearance of the immediate surrounding area" and that it failed "to make provision for adequate car parking spaces". But the Planning Inspector, Mr Leslie Coop, disagreed with the council's conclusions. The development "would improve the existing street scene and the character of the area", he wrote in his Appeal Decision. Despite the hotel having 47 rooms, the proposals include plans for only 13 car parking spaces. Mr Coop commented that the hotel would have sufficient off street parking would be "within walking distance of North Greenwich" bus and tube stations. A hand car wash is currently in operation on the land and the adjacent house, number 228 Tunnel Avenue, will be demolished as part of the development. The hotel is expected to create 10 full time jobs and 20 part time jobs. The developer originally applied to build flats on the land in 2005 but this was rejected by the council. A subsequent application in 2007 to build a 27 room hotel was also refused but a revised 17 bedroom hotel was approved. The developer didn't go ahead with that proposal and instead submitted plans for a 47 room hotel late last year. The man behind the hotel scheme is local developer, Jigs Chana from Cameo Properties. Mr Chana studied at the University of Greenwich and tells me that he has been heavily involved with the local Chamber of Commerce and sat on Greenwich Council's Local Strategic Partnership Board and Local Neighbourhood Renewal Board. We are delighted with the Inspectors Decision and we are particularly pleased with the Inspector taking all of our comments on board as submitted in our planning application including our proposal to provide limited on-site parking. This site is very well connected to excellent local public transport connections and the design we have proposed for the affordable 6 storey 47 bedrooms hotel is of high quality and this development will further help local community and businesses to attract new inward investment. Our objective always has been to work with local people and when built we aim to recruit staff locally. Do you have a timescale for beginning and completing construction? We are planning to start construction early into new the year with a target to complete the development in time for the start of the London 2012 Olympics – it is a disappointment that we have lost 5 months due to us having to make an Appeal even though Planning Officers had this development ‘Recommended for Approval’ back in March 2010. Do you think people will be happy to stay at a hotel so close to the busy A102? 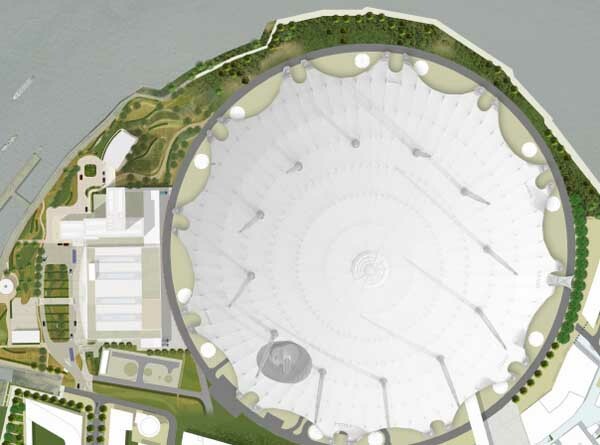 Greenwich is very fortunate to have high quality tourism attractions including world class O2 Arena, Historic Greenwich Town Centre, London 2012 Olympics, etc. and Greenwich Council desires to increase its tourism-based economy but in some cases, lacked hotel beds to meet such a demand. The location of this hotel will be very visible from the A102, is very well placed and convenient for our guests and visitors to be able to get in and out with ease without the needing to further clogg up Greenwich Town Centre with traffic. All guest bedrooms are located away from the dual carriageway and by introducing good quality double glazing windows throughout, our guests will be able to enjoy the convenience, clean and comfortable bedrooms whilst paying affordable prices. Thanks to Dazza for venturing out in the rain this afternoon to get this photo which shows where the hotel will be built. 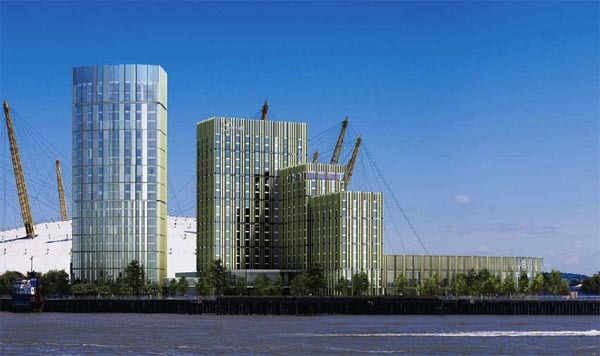 A planning application has been lodged with Greenwich Council for the construction of a 452 bedroom hotel next to the O2 arena. The large development, on what is known as plot NO301, would also include a separate 22-storey tower comprising of 100 serviced apartments, a ballroom & events space and a health spa. At present the nearest hotels to the O2 - recently named as the in ticket sales - are the Express by Holiday Inn and the Pilot Inn guest house. 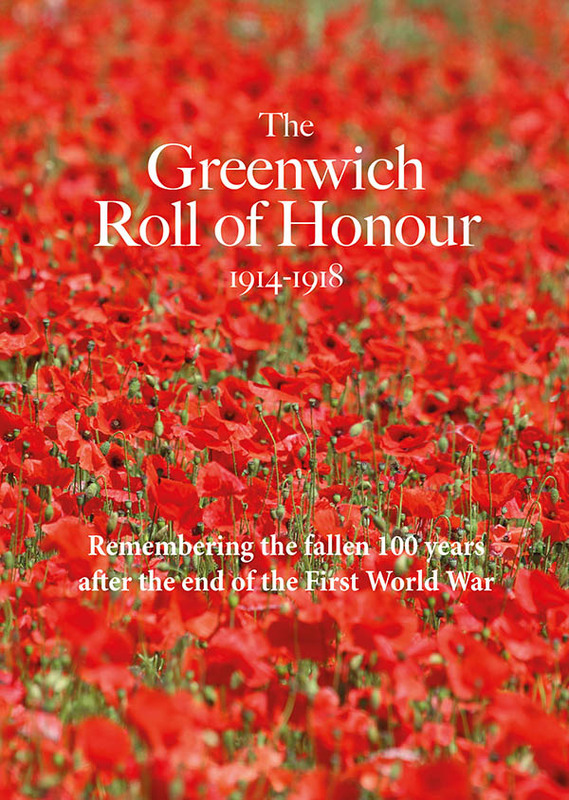 The planning application and association documents can be seen in full at the Greenwich Council website. 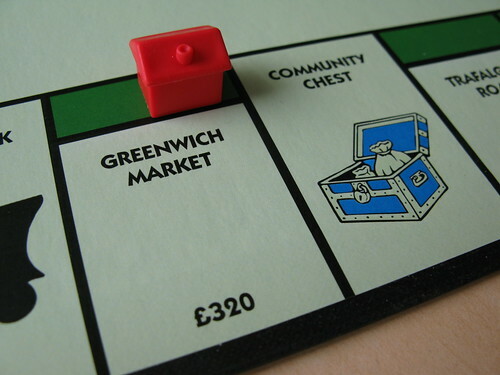 The Planning Board of Greenwich Council will meet tonight at the town hall in Woolwich to make their decision over the proposed redevelopment of Greenwich Market. They will consider the plans for a new market development, as well as the related application for a temporary market in the Monument Garden of the Old Royal Naval College. The controversial plans for Greenwich Market include the creation of a 100 bedroom boutique hotel. Last week, Andrew Gilligan reported in his weekly column that planning officials have recommended to the board that permission be granted. The Planning Board will also be considering giving permission for a new 82 bedroom hotel in Greenwich High Road, on the site of the old petrol station that is currently operating as a car washing business. Planning approval had originally been granted for 14 flats at the site, but the developer backed out due to the economic climate and Travelodge stepped in, acquiring a 25 year lease. Contentious proposals to expand the number of flights at London City Airport are also going to be discussed at the meeting, and the board will determine whether to enter into a Neighbouring Authority Agreement with the airport. The meeting begins at 6.30pm. Bespoke Hotel Company Limited have been chosen to operate the proposed new boutique hotel which will be included in the redevelopment of Greenwich Market. If planning permission is granted, the new 100 bedroom hotel will be at the eastern edge of the market. The MD of Bespoke Hotels, Robin Sheppard, said they plan to deliver a “truly iconic hotel to form the centrepiece of the regeneration of the Greenwich Market". The housing slump and economic malaise has led property developers to sell a 25 year lease in Greenwich High Road to Travelodge rather than go ahead with a planned residential development. The site had been earmarked for 14 luxury apartments by City and Surburban Homes, but with the property market firmly in the doldrums, the owners have instead opted to lease it to the budget hotel chain, Travelodge. The forthcoming Travelodge is not the only new hotel coming to Greenwich - we reported in August that Whitbread are planning a 197 room Premier Inn.